Justin Achilli used to stumble around the old WW office as a character mumbling and shouting about all the Drakulas. Might be two l’s and/or two k’s in there. Maybe a g. I honestly couldn’t tell you, but all I could hear is him yelling about them this week as I thought about our meeting today. 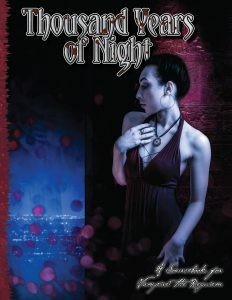 Of course, as per the cover featured in the art above, we’re thrilled to be able to put the latest Vampire: The Requiem 2nd Edition supplement, Thousand Years of Night, on sale on DriveThru this Wednesday. 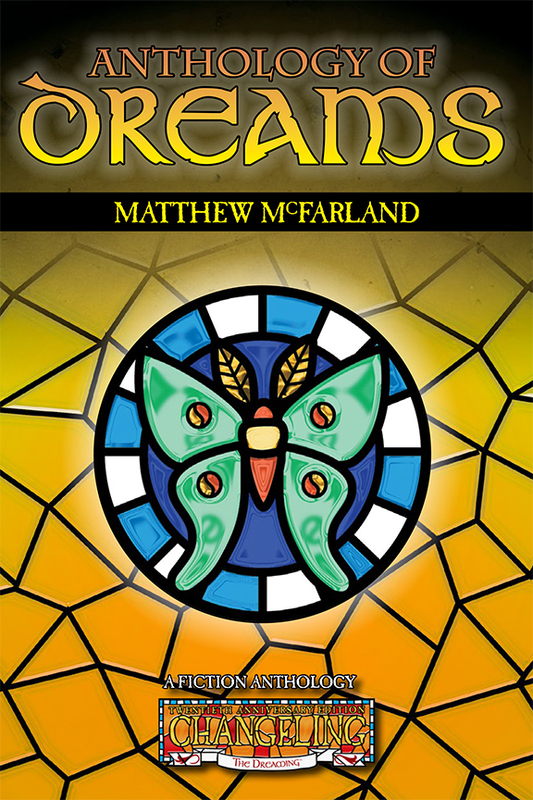 First the Advance PDF, and after we get any notes back from purchasers, we’ll make an errata pass and get an updated final version of the PDF up, and get the physical copy PoD on sale too. If you’ve been following, this was one of the first ideas for a VtR supplement that Rollickin’ Rose pitched to me as VtR developer, and it felt the pressure exerted by her expanding duties here at Onyx Path. It just got bogged down as Rose stepped up to cover crisis after crisis as Development Producer. As much as Rose loves VtR, and boy does she, she didn’t hesitate long after realizing that she needed help in bringing this book to fruition. The other Vampire bit of news has been last week’s release of the V5 pre-Alpha playtest packet by White Wolf. To say that there are a lot of opinions about this very, very early look at a few systems and some suggestions of the setting they work within, would be like saying the sea sure has a lot of water in it. The reason I bring it up here, is that part of the “packet” is a survey for folks to let WW know what they think of the pre-Alpha playtest, and, for me, the survey is really the biggest point for releasing the whole thing at all. If you look at the specific questions, you can see the emphasis on how the Hunger and Compulsion rules both work and feel in play. Same thing for the scenario, drawn from Enlightenment in Blood and the innovative End of the Line larp in Berlin during the recent convention there. And then there is the section for additional comments, which I know is where a lot of folks are going to shine. Or at least, you really could shine there, because this is your best chance to help the gang at White Wolf really understand your thoughts about this very first thing that they have produced to start the process – and it is a process – of creating the newest edition of Vampire: The Masquerade. I’m telling you, it’s an amazing opportunity, and these surveys are going right to their very small team. If the Hunger mechanic sounds awesome, letting them know now gives it the best chance to survive the next iterations, and I believe there will be lots of those, and into the final published V5. 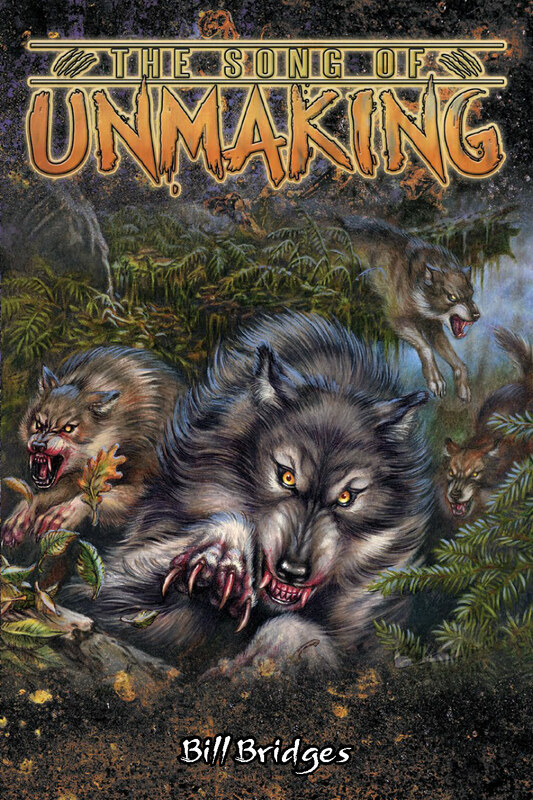 If the writing style or subject matter works for your VtM, or doesn’t, then let them know that so they understand how their efforts are impacting you and the game and setting you love. Now, I’m not going to suggest the obvious: that you compose your comments with the idea that an obscenity-laced, all caps, message filled with invective might not be the most effective way to hold and keep the WW gang’s attention. I’m not going to speak for them, and I have no idea how they react to such things, but I always hear from all those consumer advice advocates that polite and to the point is what tends to work best. I’ve found that to be the case; your mileage may vary. Beckett’s Jyhad Diary art by Ken Meyer, Jr.
We’re expecting to get the Prince’s Gambit card game KS BackerKit site up this week. We’re also expecting to close down the Pugmire KS BackerKit site this week or the next. LisaT tell me that she counted up the freelancers paid the first half of the month at she paid 42 excellent creators, which she tells me is average for a two-week period. For anyone wondering at the extent of that part of our business. Expect the third Dragon Blooded charms excerpt to go up this week from our new EX3 developers, Eric Minton and Robert Vance. And we’re looking at getting the next monthly releases for our two ongoing EX3 books out before the end of the month too – just need some WW approvals. 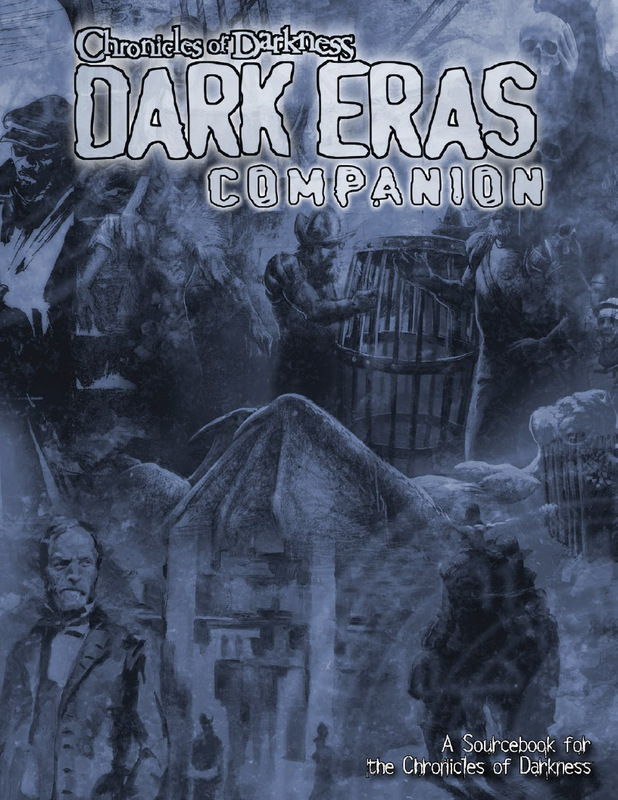 We’ve received some ideas for Dark Eras 2 from our project developers, and Rose, Mighty Matt McElroy, and I, will be discussing those this week in terms of how we’re structuring the book and Kickstarter this time. 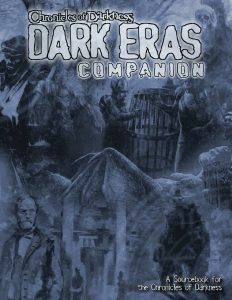 I had earlier compiled and shared all the suggestions for Dark Eras from our DE1 backers, and BOY there were a lot of great ideas there. 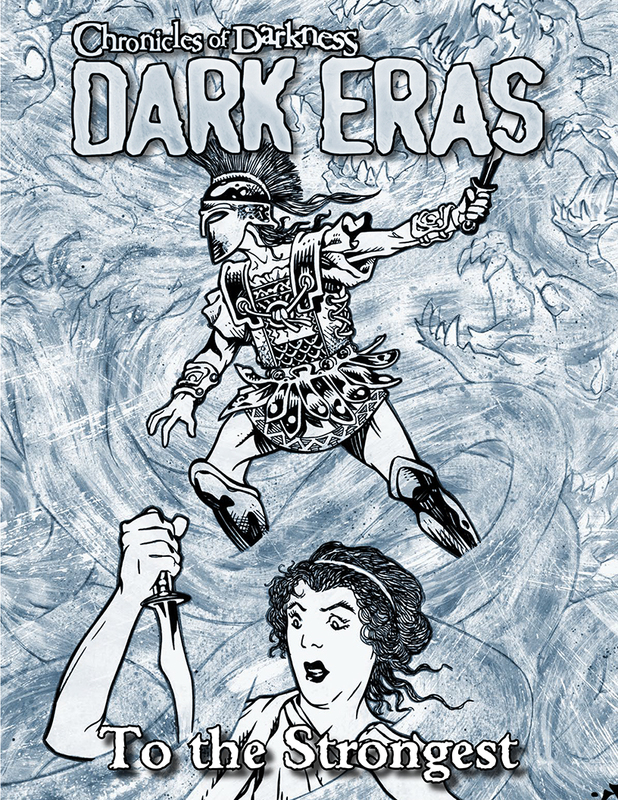 We want to do this Dark Eras 2 Kickstarter before much longer so that it doesn’t smash into Gen Con prep. What dark secrets do the eldest vampires hold? Find out in Thousand Years of Night for Vampire: The Requiem! Advance PDF version available this Wednesday on DriveThruRPG.com. 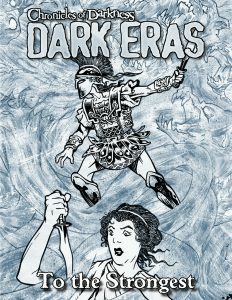 From the massive Chronicles of Darkness: Dark Eras main book, we have pulled this single chapter, Dark Eras: To The Strongest (Mage Death of Alexander 330-320 BCE). In the rise and fall of Alexander the Great’s Empire, armies marched and cultures clashed. In the birth pangs of Hellenistic civilization, Awakened sorcerers all over the ancient world met, fought, and joined together. In the chaos of Alexander’s assassination and the wars that followed, Cults became Orders amid conflicts still burning in the present day. 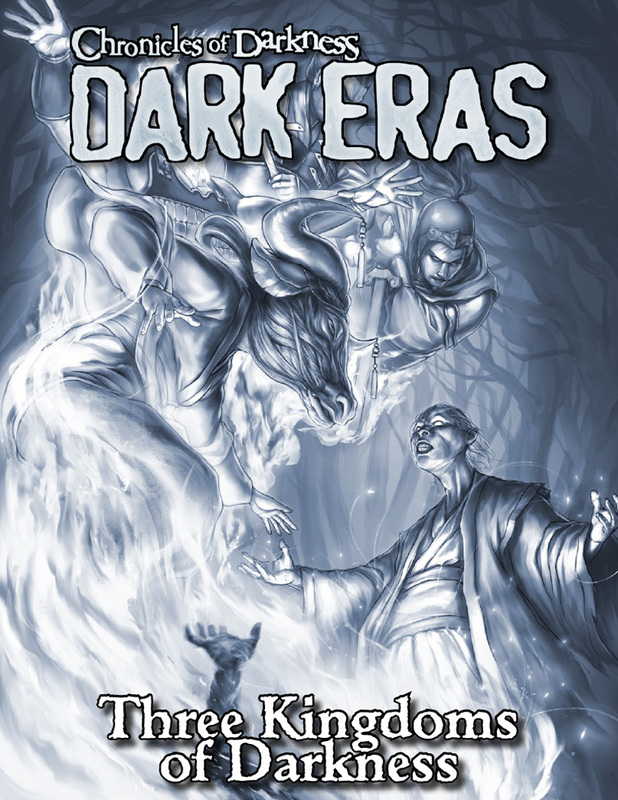 From the massive Chronicles of Darkness: Dark Eras main book, we have pulled this single chapter, Dark Eras: Three Kingdoms of Darkness (Changeling and Geist China 220-280). Famine weakens the empire, and war splits it apart. It is an age of ambition and strife, where the hungry dead walk the earth in great numbers, and the Lost must rely on their own kingdoms. Warlords and commoners, ghost-speakers and orphans — who truly serves the Mandate of Heaven? 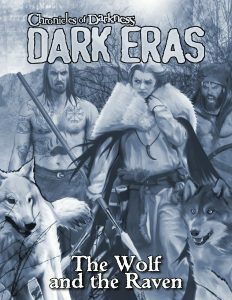 From the massive Chronicles of Darkness: Dark Eras main book, we have pulled this single chapter, Dark Eras: The Wolf and the Raven (Werewolf and Geist Vikings 700-1100). The Viking expansion across Europe comes at a pivotal time in history, as new faiths rose to challenge the old and new ways threatened to sweep ancient tradition aside. The Forsaken sail with raiders and explorers, seeking new lands to claim and new spirits to conquer, while Sin-Eaters walk the battlefields bringing the honored dead to their final rewards. The world grows larger and more dangerous by the day, but there are great rewards for those brave enough to fight for them. 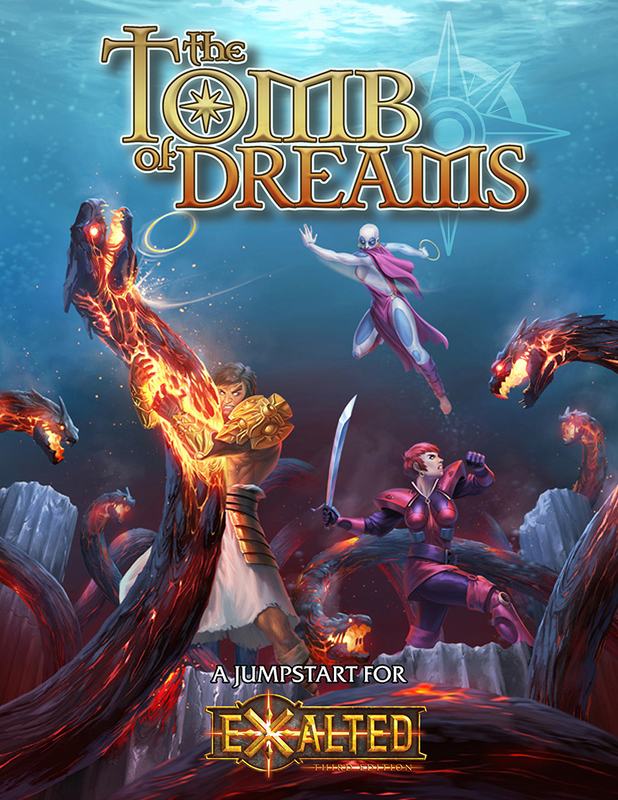 Now on DTRPG, the EX3 Tomb of Dreams Jumpstart PDF/PoD jumps up for sale! Once, in the time before the gods forgot their names, when the world was flat and floated on a sea of chaos, there was an age of gleaming cities, untamed wilderness, enlightened devils, greedy spirits, and mighty heroes. This was the age of the Exalted, champions empowered by the highest of gods. 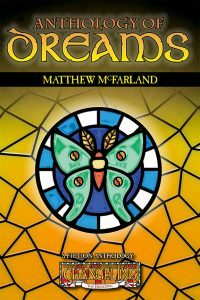 Tomb of Dreams will jumpstart your group’s Exalted game—all you need to start playing Exalted Third Edition is this book, pencils, and 10-sided dice. 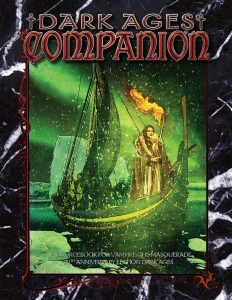 Included here are the game’s core rules, five pregenerated characters, and a self-contained scenario that can start a new campaign or that Storytellers can use in an ongoing chronicle. 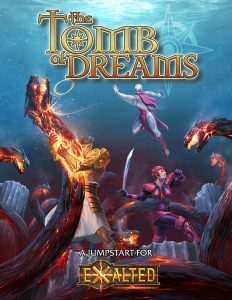 And for groups that already have the Exalted Third Edition main rulebook, Tomb of Dreams will serve as an introduction for new players and a quick reference during play—anyone intimidated by that prodigious volume need only read Part 1 of this book to get started. What legends will they tell of your deeds? 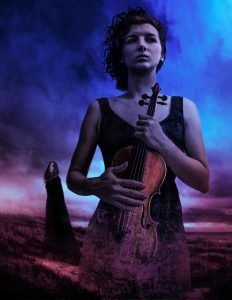 Bill Bridge’s new W20 novel, The Song of Unmaking, is on sale in PDF/ePub/PoD versions on DriveThruRPG.com: http://www.drivethrurpg.com/product/208366/W20-The-Song-of-Unmaking and in ebook form on Amazon: https://www.amazon.com/dp/B071VM2S3D/ref=sr_1_1?s=digital-text&ie=UTF8&qid=1494441226&sr=1-1 ! The only ones standing in his way are One-Song, a broken-down old Theurge, and Lord Albrecht, whose heed-less anger might be the very weapon the enemy needs to crack the egg and free the Unmaker. 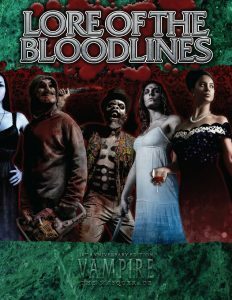 V20 Lore of the Bloodlines awaits in PDF and physical book PoD versions on DriveThruRPG.com! CONVENTIONS! Discussing GenCon plans. August 17th – 20th, Indianapolis. Every chance the booth will actually be 20? x 30? this year that we’ll be sharing with friends. We’re looking at new displays this year, like a back drop and magazine racks for the brochure(s). Ex 3 Arms of the Chosen – Sketches coming in. Beast PG – Got some artists lined up… just need to bust up the notes. Pugmire Screen – Printing finished. Pugmire Cards & Dice – Printing/manufacturing. Wise and the Wicked PF & 5e – Printing. Dagger of Spiragos (5e) – Out to backers. Dagger of Spiragos (PF) – Out to backers. V20 Dark Ages Companion – PoD files uploaded and processing. BtP Building a Legend – Awaiting errata. Monarchies of Mau Early Access – PoD proofs ordered. Dark Eras: Requiem for Regina – PoD proofs ordered. 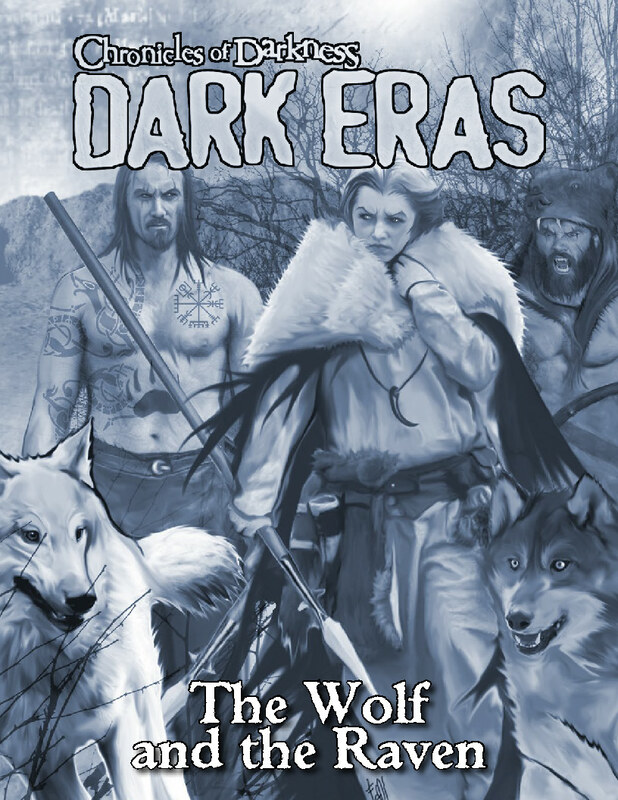 Dark Eras: Lily Sabre and Thorn – Wrapping up and getting files uploaded. M20 Book of Secrets – Out to backers and gathering errata. VTR: Thousand Years of Night – Advance PDF out this week on DTRPG. TODAY’S REASON TO CELEBRATE: Today in 2017, our friend Eddy Webb made it to San Francisco after driving from Atlanta because SF has the only airport that will still allow dogs to fly out to Ireland. Or anywhere, as it’s the heat of the US summer that is too much for the doggie transports. And Murray Pug must get to Ireland. Greater love…. So much to be excited about! Thousand Years of Night! 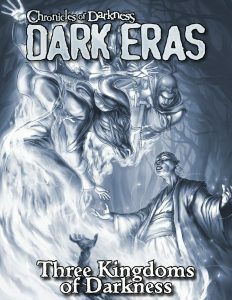 Dark Eras 2! Wraith! I was pretty bummed when I heard Rose was stepping down from Vampire, she’s done such an awesome job with second edition. But Danielle seems cool and if Rose thinks she can do it that’s all that really needs be said. Now we just need some Werewolf the Forsaken stuff! Woo! Can you give us any extra details for the Scion art direction the way you do for Exalted? Its great to see that the text has moved into development, but without seeing the whole picture it doesn’t really give as good of a indication as to how close it really is to being in our hands. More details are up to Mirthful Mike Chaney and his comfort level with going into it more. I absolutely take your point about contstructive feedback Rich… but it’s nearly impossible to have that kind of patience with WW given how they’ve responded to problematic writing (and writers) in the past. They’ve brushed it off. When they address it, they’ve basically said “well, what can you do?” Contrast that with when I talk to OPP’s Devs about potentially problematic portrayals (I’m thinking of a lovely chat between Monica and I during the Reddit AMA, but this goes for everyone), and they are practically tripping over themselves to be proactive about avoiding those situations in the first place. Now we get a premade PC in the V5 quickstarter who by accident or design reads as child molester, and I want to give WW teh benefit of the doubt, but I have a hard time thinking that their response will be something other than “lol, jokes!” or “you don’t get this game.” I’m not trying to hate it or get angry about it, but based on the company’s past actions, I can’t reach any other conclusion. If this is the direction things are going, if this is the stuff that WW thinks is acceptable to print, it makes me seriously doubt if I can keep supporting CofD, because I don’t want my money going to people who think this is okay, even if it is in the form of the licensing fees OPP pays them. And that that makes me extremely sad. Especially because you guys are so good at creating inclusive works that are diametrically the opposite of what WW seems to be producing now. Like, at least Ken Hite apologized for the tigger joke in the pre-alpha, but it’s hard to give people who are will to make jokes about PTSD, anxiety, and mental health the benefit of the doubt. It’s hard to stay calm. And it’s hard not to wonder if they aren’t just going to move those jokes to a place that I can’t see them. On a more positive note, I’m happy to see Thousand Years Of Night finally make it to press, and I’m super pumped about Dark Eras 2. So it’s not all doom and gloom. Look, you need to do what you need to do- but not apologizing for previous issues, very likely because some lawyers told them not to, doesn’t mean that the situation and their intent is the same here with a Survey that has a freestyle comment section. And as I said in the blog, this is a chance to express your concerns in the Survey, so why not take that chance? At worse, they are exactly as you fear they are and nothing changes, but, maybe, that’s not what happens and somebody there listens. What I noticed with the Pre-Gens was they were ALL monsters. I would be uncomfortable with a group that was not unsettled by any of them. Heck, my group took a look at the backgrounds and notes and outright refused to touch the pre-alpha scenario because of just the pre-gens. Awful horrible characters are certainly one way to play. I remember when just the base concept of playing a vampire as a PC was enough to squick gamers out. But you bring up the interesting point that if this is a playtest for features, yet the characters provided are going to drive playtesters away, then has the main goal of getting feedback been cut off before anything can be playtested? Worth throwing a comment about that WW’s way, maybe. Kinda getting that sense from what they have released so far. The characters in the prelude games were all pretty monstrous too. I hope it is coincidental rather than pushing it too much that way. I like the more mature theme that VtR presents way better than what I have seen from VtM 5th so far. I guess we’ll all just have to see how other NPCs/scenario PCs are handled. I do think it is worth bearing in mind that we’ve had many years to hone our approach in VtR, and Rose is a helluva developer, while the WW gang are really just starting to take all of their ideas and get them down on paper and out to the community. What sounds cool and interesting in your head very often isn’t once it hits paper, nevermind out to people. I’m hoping Ken Hite will be that voice of experience moving forward with V5. curious, are the pugmire breed/calling pins included in the status listings with the cards and dice? Those Pugmire pins are sitting all finished on my table here, just waiting to get shipped to our fulfillment shipper. No worries! So Scion is in “development” now. In its most basic firm, Development as a phase is when the text is finished by the writers and is brought together and turned into a finished whole by the developer(s). The text is also formatted as per our standards and readied to be sent to Editing. How long all that takes depends on the size of the book, how much rewriting and changing the developer needs to do to get the text reading as they want it to, and how much time any given dev can spend daily on the tasks involved. Hope that helps. Quite helpful. Hopefully it means things are coming along quickly. It means my suffering has not ended, it has only truly begun. New vistas of pain unimaginable have opened to me. Hell is eternally fresh, renewing with demonic vigor. I grasp and claw at any chance at salvation, but it is a Sisyphean task. The boulder topples down the hill, and my grim work begins anew. …I mean, it’s coming along. Is the plan for Arms of the Chosen to have a draft release like you’ve done for some of your other books or are you going to release the pdf and PoD copies at the same time? They always release a PDF before a POD to give the player audience a chance to catch any errors that slipped through the editing process. This also let’s them get a preview copy in folks hands sooner and increased the quality of the final product. When I asked a couple weeks ago, RIch said Arms was probably not coming in June but wasn’t terribly delayed. Depending on how long the art takes to come in, and whether the graphic designer is free to do layout, I’d estimate late-July/early-August delivery of the preview PDF. Our current publishing strategy is to release an Advance PDF first, or a Backer PDF if the project was from a Kickstarter. In most cases, these aren’t “drafts”, but are fully realized projects that we think benefit from “crowdsourcing” an errata phase before they are done and the PoD books released with any errata fixed. Has a decision on a discounted price if you purchase the monthly Exalted releases and want the completed product? I’m pretty sure that Murray has a soundtrack in his head at all times, and it may or may not coincide with Eddy’s! This is one hell of a Monday notes gift. Look at all the goodies. LOOK AT THEM!!! MMM Deluxe and Prestige editions. It’s like an invite to the ball you never thought you’d get to go to. Good god WHAT AM I GOING TO WEAR!?!?! Hunter moves forward; Scion Moves Forward; TRINITY CONTINUUM MOVES FORWARD! My one request is for more info on Deviant: The Renegades. Just listen to the title. That is some bootstomping badassery right there. Thanks and thanks also for your enthusiasm! We’re working with Dapper Dave Brookshaw to get us some good news soon about Deviant. With the backer pdf release of scion hopefully coming soon, I was wondering what Onyx Path’s policy was regarding the sharing of backer pdfs. If I’m running a game next semester, do you care if I share my backer pdfs with my players so they can use them to make characters and study the rules, or do you want me to keep the pdf to myself and have them use my laptop to make characters? Well, hopefully your players will like it enough to buy their own copies when they’re available, but what you do to get your game rolling is your business. Thanks so much for thinking to ask, though. That you’re considering the best way to handle it is very much appreciated! Overjoyed to see Scion and Trinity moving along! 🙂 and it’s awesome that CoD 2nd edition cores are representing in redlines (Hunter), 2nd Draft (Geist), & Development (Changeling)! With the Changeling anthology in proofing, will we be seeing the Geist anthology on the Monday notes soon? 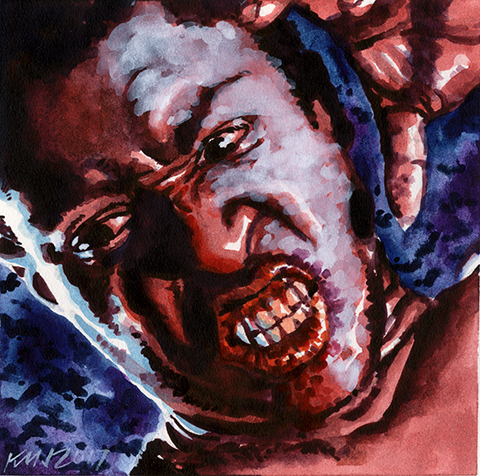 Because we are still tossing around the idea of Kickstarting the CofD 2nd editions, we’re holding off on the Geist fiction since fiction anthologies are great for KSs. I’m pretty sure one way or the other, there will be one, though. Cool beans! If you do, I will probably back at least as many of them as I can afford to! So I recently had a problem where I downloaded a pre-errata version of mage 2e, but it had an index, and final in the filename. I’m not sure how this happened. I was wondering however, if you would consider adding a watermark or other visible mark to the “prefinal” versions, to make it obvious that this is not the version approved for “PoD”. This is just a suggestion. We will certainly consider it, thanks! Caleb, was this the only PDF you could see? I purchased that book back in October or November and the PDF markup is…weird. Trying to figure out if I have the right file. We have checked the file for the PDF available on DTRPG, and it is the final one. If you downloaded an earlier version, you should be able to download the final from your Library on DriveThru. If you can’t, please contact DTRPG customer service. Hipe that helps! Here’s my question, since whoever owns the White Wolf name now is making V5, what effect will this have on OP developing new content for the OWoD lines? Or CoD for that matter? Will you still be developing new V:tM content based on V20, or will you develop content for V5 when it goes out, or will you lose V:tM all together? Our contract with WW includes WoD, CofD, and Exalted, and that includes V5. We have ideas, we can pitch those ideas, and WW can decide whether they like those ideas, for anything in those game lines. Can’t really say anything more specific or that would ruin our announcements at GenCon. I need to see this intoned with bongo drums in a coffee house. Hopefully TC Core moving into Development means that Aeon can maybe begin the journey out of first draft. Also nice to see the Scions moving at long last.